For a first-class fitness experience, look no further than Nuffield Health & Wellbeing Nottingham. Easily one of the best gyms in Nottingham, the club has a large, spacious gym floor with cardio and strength machines as well as a functional training section. The free weights area has a wide range of dumbbells and barbells as well as plenty of benches. There is an onsite Café with free WiFi available to use throughout the club. 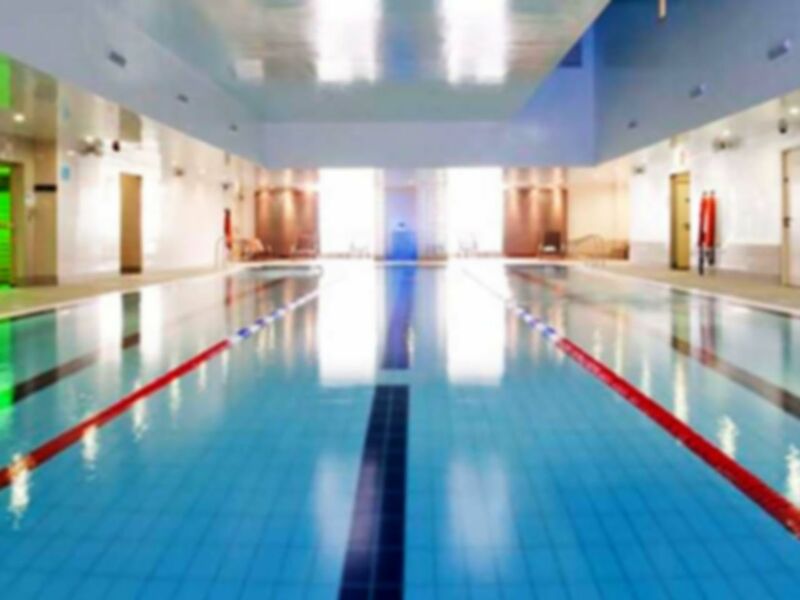 The club has an excellent swimming pool with a sauna and steam room also available to use with your PayAsUGym pass. The changing rooms are clean and spacious. Located on Plains Road in NG3, adjacent to the Mapperley Plains Primary School, there is free onsite parking available. The Sky Blue Line 46 and 47 buses stop just outside. Hi Zak. thank you for your feedback on the club and facility. We are sorry to hear that you are unhappy with the increase in price however the existing price was contradictory to our pricing structure and as such had to be reviewed. I am delighted to say however that we have now completed out extensive Technogym powered gym refurb including plate loaded equipment, Watt bikes and skill zones. hopefully you will pop down and see for yourself soon. Nice gym, decent equipment, went during the day so was less busy. Still quite a few people though. The location is a bit isolated. Good experience - unfortunately price for one visit has now gone up! Hi Premvir J.. thank you for your feedback on the club and facility. We are sorry to hear that you are unhappy with the increase in price however the existing price was contradictory to our pricing structure and as such had to be reviewed. I am delighted to say however that we have now completed out extensive Technogym powered gym refurb including plate loaded equipment, Watt bikes and skill zones. hopefully you will pop down and see for yourself soon. Pity my first interaction with this Club was to be informed by the guy behind the front desk that whatever I HAD paid for the passes, the price was going up substantially! Hi Alison G. thank you for your feedback on the club and facility. We are sorry to hear that you are unhappy with the increase in price however the existing price was contradictory to our pricing structure and as such had to be reviewed. I am delighted to say however that we have now completed out extensive Technogym powered gym refurb including plate loaded equipment, Watt bikes and skill zones. hopefully you will pop down and see for yourself soon. Welcoming, clean and friendly with excellent facilities. Easy to use my pass. I had a great session in the pool. Really easy process. Fab gym! Hi Premvir J. Thank you for your kind feedback. We look forward to seeing you again soon.